We call it a standard for a reason, this style of railing which is a copy of the traditional wrought iron railings of the past is by far our most popular and widely seen railing we have. Using 1 1/4" post with a 5/8" baluster the standards measurements are slightly larger then what you would find in traditional iron but still allows for a safe and maintenance free alternative without losing the look. 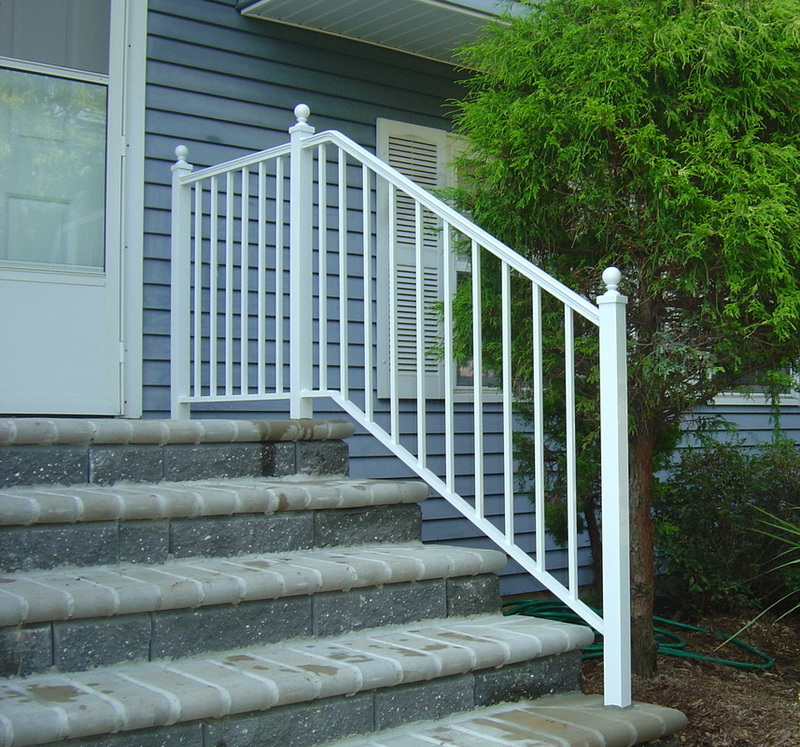 This railing is another take on classic design, using a larger 2" post with the same standard 5/8" balusters this offers an upgrade over the standard and change in the way the railing terminates. The post can be topped with either a ball(shown in photo) or a square cap. This is the perfect option for some one who wants something a little above the standard. 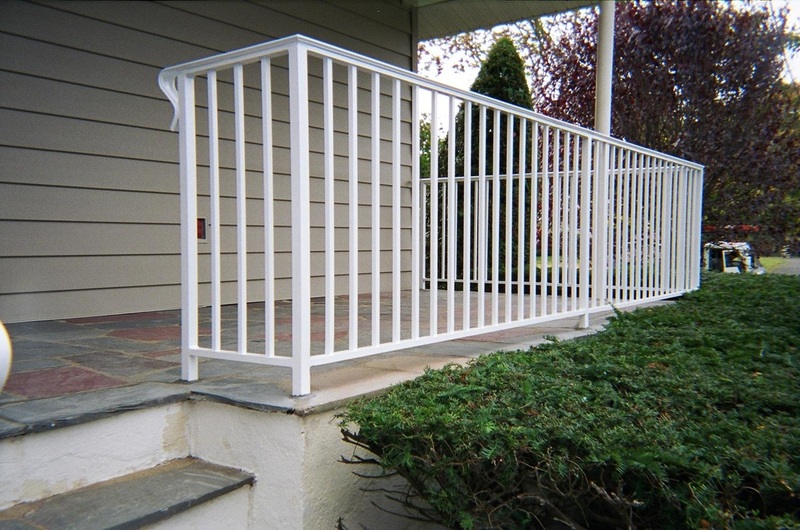 This upgraded railing can be customized with a variety of different options. Having a third channel to break up the space between the top railing and the balusters allows us to leave it open for a more airy look, as shown in the picture, or fill the space with a decorative scroll or valence. Like all our railings the balusters can be adorned with a square collar to break up the straight jail bar look that some people see in our basic railings. This railing can end in both the standard 1 1/4" post or as shown in our 2" post with either square or ball caps. 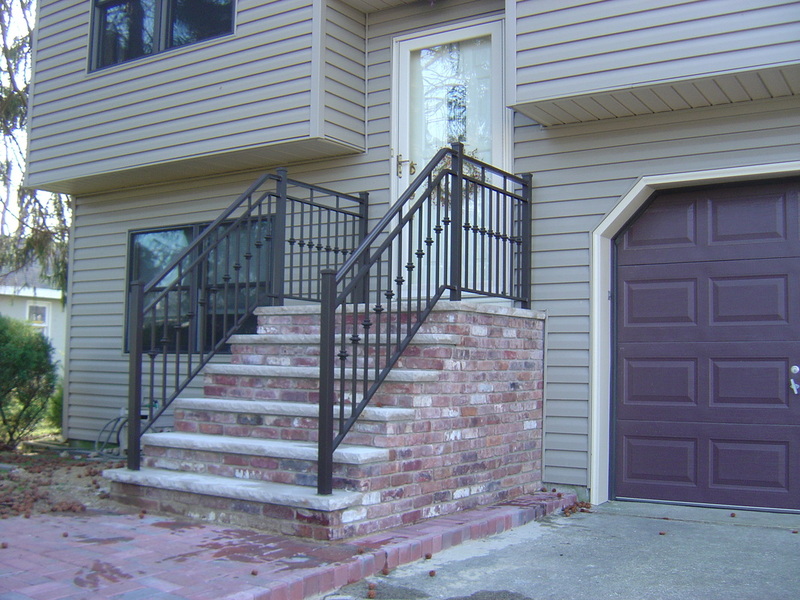 Remember all of our railings are custom built to order, so you can mix and match any style or come up with your own design. We can build it all. Please check out our gallery pages for more of our work, and you can look at our ﻿Pinterest﻿ page for some of our work and things we have found that may be more to you style.